I have been into digital photography for years; I have even helped a few trans* girls do short indoor photo shoots. But in recent years I have not kept up with the latest DSLR technologies, because I just can’t afford to keep up financially. Last week, during my “shopping spree” of buying a single party dress that I ended up wearing to work, I also bought a camera from BestBuy. 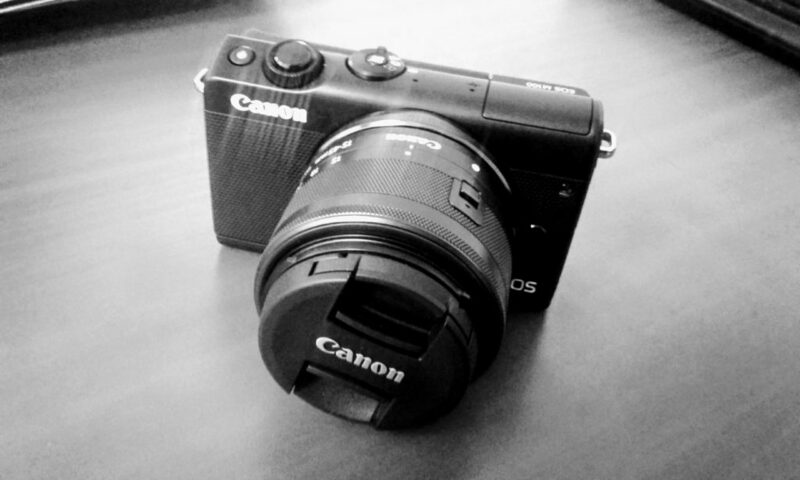 Meet my Canon EOS M100. Yay! It’s a mirrorless camera with interchangeable lenses. Having been a long-time Canon user, I’m very pleased with the M100. For sure, it doesn’t take the same quality photos as my (albeit older) DSLRs, but it has many new useful features. And the higher ISOs is great for low-light environments. And if I ever ask someone to take a picture for me, this is easier enough to use that even for the most careless users. Next week I’ll buy an lens adaptor so that I can use the portrait lens on my DSLR to take even more fantastic photos! Next PostNext Dresses Only Please!